To sign up for Gas Service with the Boaz Gas Board, you will need to complete the following forms which can be downloaded, filled in, and returned to our office in person. Files are in PDF format. To download a PDF reader, click here. Cash, check, or money order required for deposit. Credit or debit cards not accepted for deposits. For a list of Licensed Gas Fitters, please view this PDF document. For our Rates and Fees, click here. 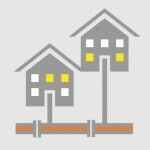 For a list of Natural Gas Safety Tips, click here. For a list of Energy Saving Tips, click here.